Here on Product Reviews we spend a great deal of time generally promoting products that could appeal to our valued readers, but in some cases we like to help awareness when it comes to the kind of products that are not so good. Today we are looking at some cars that consumers may need to be aware of as reports suggest avoiding specific vehicle types. First up we are discussing the Smart ForTwo mini car owned by Mercedes-Benz as Consumer Reports give us the impression this vehicle has so many problems it is not even worth contemplating. A full list of cars to avoid can be seen on USA Today based on data from the Consumer Reports’ annual auto report. A lot of the time they highlight recommended cars and the best motors on offer, but it is always worth looking at what they regard as cars to avoid. 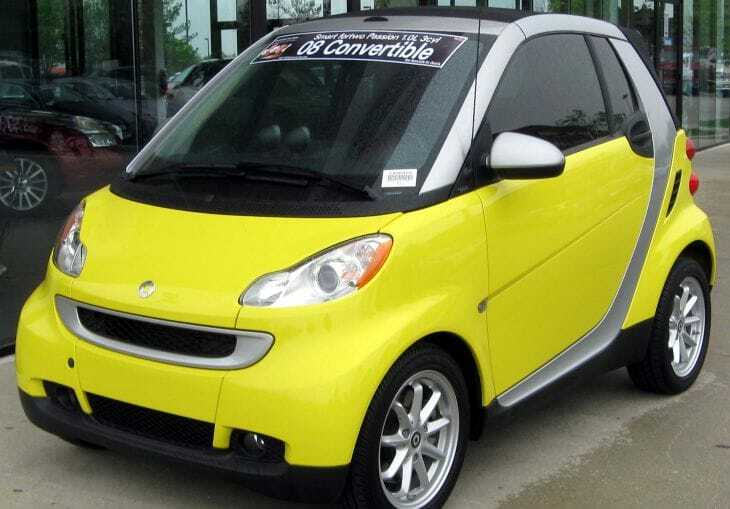 As far as subcompact cars are concerned, the aforementioned Smart ForTwo is discussed as having an under-powered engine and a jerky transmission, while the Scion iQ and the Chevrolet Spark also have slow acceleration and interior space problems. When it comes to your standard compact cars the Scion tC is regarded as a hard ride with no driving enjoyment, the Mitsubishi Lancer has noisy interior and an under-powered engine, while the Dodge Dart is just an expensive unrefined model. The Chrysler 200/Dodge Avenger is mentioned as the midsize sedan to avoid and there are quite a few going for a bargain in dealer’s showrooms. The Ford Taurus comes under the large sedan bracket and this is ridiculously cramped for such a big car, while the controls for its MyFord Touch infotainment system are said to be confusing and distracting. Luxury sedan section includes the Lexus IS, Lincoln MKS and BMW 7-Series as all three are said to fall short. The Honda Crosstour from the wagons and minivans section has ungainly handling, and another minor issue concerns the complex touch-screen radio system. The aforementioned site goes on to highlight issues with small SUVs such as the Jeep Compass, Jeep Patriot, the Jeep Cherokee and the Mitsubishi Outlander, not forgetting midsize and large SUVs like the Ford Edge, Nissan Armada and the Dodge Journey. While luxury SUVs like the Volvo XC90, Lincoln MKX and the Land Rover Range Rover Evoque all come under the bracket of cars to avoid. If you own one of these vehicles we would love to know whether you feel the comments from Consumer Reports are unjust, or maybe you agree totally?